To be considered for the Knoch High School Sports Hall of Fame, an individual must have made a significant contribution to Knoch sports through athletic excellence and/or exemplary leadership contribution in sports activity. Applicants must be at least 30 years of age for consideration. More information on the Knoch High School Sports Hall of Fame is available from the Athletic Office at Knoch High School. 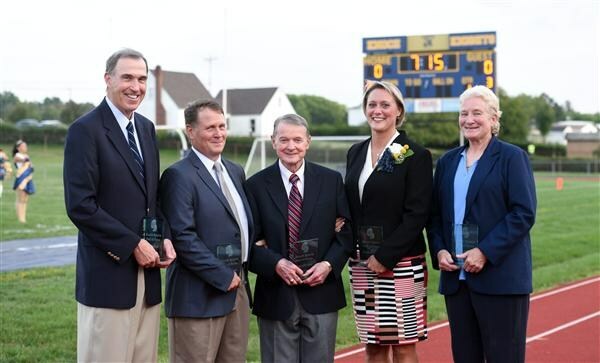 Established in 2015, the Knoch High School Sports Hall of Fame honors individuals who have made a significant contribution to Knoch sports through athletic excellence and/or exemplary leadership contribution in sports activity. Applicants must be at least 30 years of age for consideration.